Champions For Learning is proud to honor community leaders at the Night of Champions event that will be held on February 2, 2017 at the Naples Grande Beach Resort. Each year, members of our community are recognized for their impact on the lives of students through mentoring, leadership, collaboration and community involvement with educators and students. The 2016-2017 Night of Champions honorees are: MJ Adams, Della Burt-Bradley, Theo Etzel, Kaleigh Grover, Cindy Helton, Thelma Hodges, Claudine Léger-Wetzel, Andrea & Felix Lluberes, Susan & Wayne Mullican, Senator Garrett Richter, Joan & Jack Toren, Sharon & Dolph von Arx, and Michael Wynn. 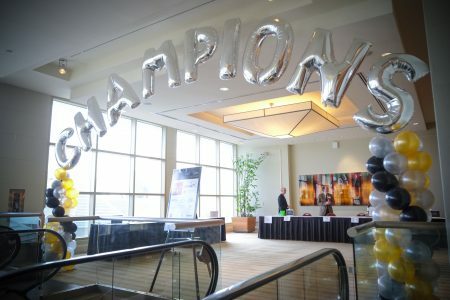 This signature event will support the student programs of Champions For Learning, such as: Take Stock In Children and the Real World Learning Model. Tickets for this event are $250. Click here to register for the event. Table and event sponsorships are also available. For more information, please contact Jason Kurek at 239-643-4755 or JKurek@ChampionsForLearning.org.